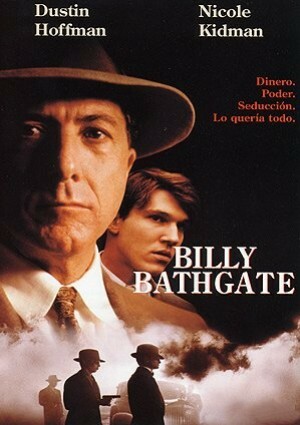 Billy, un joven ambicioso y de familia humilde que vive en un barrio de gángsters, decide ingresar en la banda del mafioso Dutch Schultz, para que éste le adopte y enseñe el "negocio". Poco a poco, Billy va escalando posiciones a la sombra del líder, hasta que éste empieza a decaer. Billy aprovecha entonces para hacerse cargo de todo. Dustin Hoffman, Nicole Kidman, Loren Dean, Bruce Willis, Steven Hill, Steve Buscemi, Billy Jaye, John Costelloe, Tim Jerome, Stanley Tucci, Mike Starr, Robert F. Colesberry, Stephen Joyce, Frances Conroy, Moira Kelly, Kevin Corrigan, Noel Derecki, Josh Weinstein, Danny Zorn, Rob Kramer, Simon Jutras, Kenny Vance, Paul Herman, Teddy Cleanthes, William Jay Marshall, Harry O'Reilly, Xander Berkeley, Barry McGovern, Barton Heyman, Christopher Rubin, Richard Bekins, Katharine Houghton, Todd Louiso, Robert D. Raiford, Terry Loughlin, Tom Ambrose, Rick Warner, Chuck Kinlaw, Marlin Thompson, Todd Brenner, Charles Ress Lyons, Rachel York, Kip Newton, Karen L. Thorson, Nick Pernice, John Clohessy, Darryl Caron, Nicholas E. Tishler, Joseph Dolphin, Judy Allison, John J. Hladik, Lewis W. Lake, Kas Self, James Raitt, Rick Washburn, Max Maxwell, Jerry Guarino, Vincent Pantone, Tony Cucci, Anthony Calanese, Paulie DiCocco, William G. Kane, Frank Mclean, Stephen M. Aronson, William Marshall, John A. Moio. Robert Benton (Dirección), Nestor Almendros (Fotografía), Tom Stoppard, E.L. Doctorow (Guión), Mark Isham (Música).